There is no better way to kick off the busiest weekend of the summer than with a big party featuring a sizzling, live soundtrack. Ushering in the holiday weekend, Riverwalk First Fridays return to the Riverwalk Backyard Amphitheatre in Edwards beginning at 5 p.m. July 1 with free live music and a vendor booth bonanza featuring Crazy Mountain beer, wine and tasty specialties from Taco Rico and Loaded Joe’s. 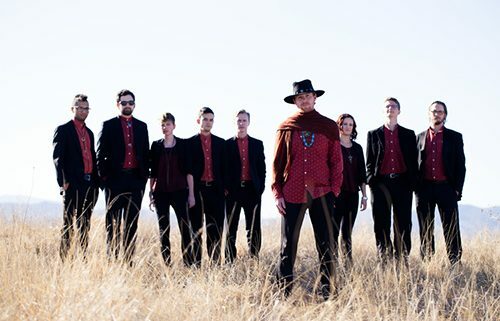 Music kicks off at 6 p.m. with Colorado-grown powerhouse The Burroughs. The nine-piece ensemble touts itself as “sweaty soul” and includes a four-piece horn section. The Burroughs follow the musical vein of Ottis Redding and Ray Charles and their thunderous performances include an energetic selection of crowd-pleasing favorites as well as danceable originals. The June Riverwalk First Fridays concert featuring fellow Colorado favorite Hazel Miller drew the largest crowd in the history of the event – hundreds of dancers, picnickers and passers by ranging from families with young children, to couples, work groups and visitors of all ages. Picnics are welcome at Riverwalk First Fridays but no pets are allowed and the event is non-smoking. Riverwalk First Fridays are presented by Alpine Bank and Kaiser Permanente. The event is a project of KZYR 97.7 The Zephyr and Vail Jazz. For more information, call 1-800-VAIL-JAM or visit riverwalkfirstfridays.com. To check out the incredible 2016 lineup of Grammy winners and musical icons at the summer-long 22nd Annual Vail Jazz Festival, visit vailjazz.org.